COMING NEXT MONTH ~ Kawaii Doodle Cuties: Sketching Super-Cute Stuff from Around the World. 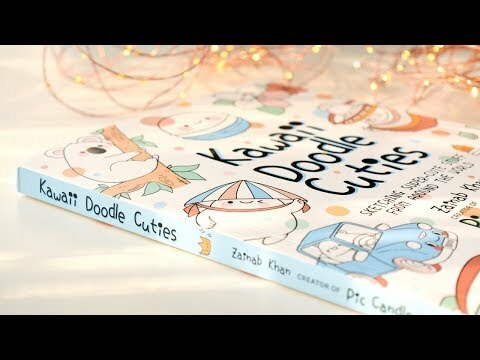 Kawaii Doodle Cuties will be releasing next month, on November 6th. It has more than 65 step-by-step kawaii characters from countries all over the world divided into sections like Adorable Food, Precious Nature & Natural Wonders, Enchanting Architecture & Monuments, etc. Just like the previous book “Kawaii Doodle Class”, it contains Inspiration boards at the end of chapters and Search-and-Find spreads at the end of the book which you can also color.